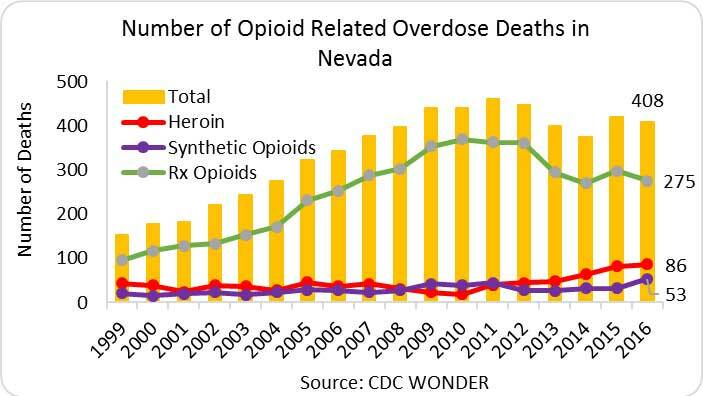 In 2016, there were 408 opioid-related overdose deaths­­­ in Nevada—a rate of 13.3 deaths per 100,000 persons and equal to the national rate. 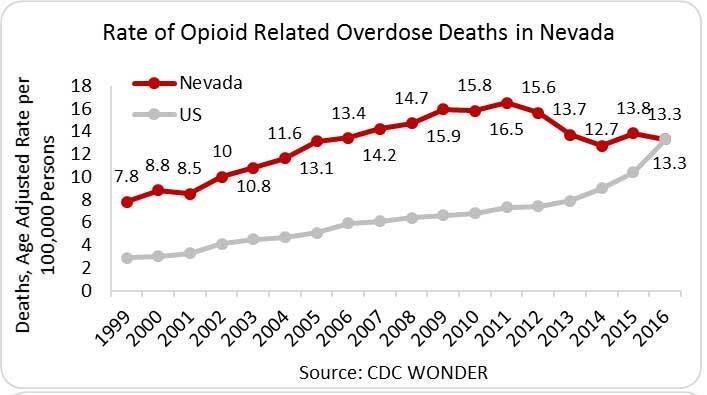 Nevada saw a decrease in overdose deaths from 2011 to 2014, followed by an uptick in 2015 that continued into 2016. 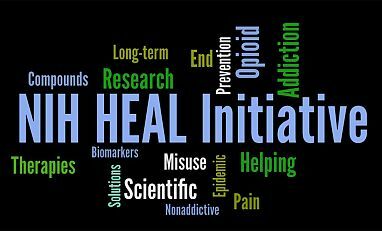 From 2011 to 2016, the number of heroin-related deaths has doubled from 40 to 86 deaths, while deaths related to prescription opioids has been steadily decreasing from 362 to 275 deaths. In 2015, Nevada providers wrote 83.0 opioid prescriptions per 100 persons (2.4 million prescriptions). In the same year, the average U.S. rate was 70 opioid prescriptions per 100 persons (IMS Health, 2016). The incidence of NAS in Nevada has increased from 1.1 cases per 1,000 births in 2002 to 4.8 cases per 1,000 births in 2013— a more than fourfold increase. The average across the 28 states included in the 2013 analysis was 6.0 cases per 1,000 births (CDC, MMWR, 2014). State Incidence: Of the new HIV cases in 2015, 485 occurred in Nevada, with 11.3 percent1 of new cases in males and 12.3 percent of new cases in females attributed to IDU (AIDSVu). State Prevalence: In 2014, an estimated 8,405 persons were living with a diagnosed HIV infection in Nevada—a rate of 356 per 100,000 persons. Of these, 16.1 percent1 of males and 21.2 percent of females were living with HIV attributed to IDU (AIDSVu). State Incidence: In 2015, Nevada reported 12 cases of acute HCV at a rate of 0.42 cases per 100,000 persons (CDC). As it is not a reportable disease in the state of Nevada, no data were available on the rate of chronic HCV infections. State Prevalence: As of 2010, an estimated 36,500 persons were living with HCV in Nevada (HepVu).